The recording in your hands is a small sampling of pipe organ music in the Czech Republic. You may be surprised to hear that our country is an organ superpower; according to the latest research, there are more organs per capita in our country than anywhere else in the world. Music is a universal language. Its beauty is beyond any language barrier. Since the early Middle Ages, the organ has been used to accompany the liturgy. This is because music made on the organ can unify and strengthen a singing Christian congregation, and it lends beauty and a sense of majesty to Church ceremonies as a gift of God. This recording contains samples of pipe organs from all of the Czech Republic's eight dioceses, introducing both small and large instruments, and old and new ones. I sincerely hope that it will be a pleasant reminder of some of our country’s singular places. In each era, you will find people who see and judge all of society’s developments in a positive light. They simply hold an unwavering belief in a better future, even at times when everything around them appears to be falling apart. And then there are others, people who see total destruction and despair in the mere failure of a system or person. Most of us lean towards one or the other position depending on a situation’s momentary development or according to the latest news. The field of the pipe organ is no exception. At the Pipe Organ Conference held in November 2016 at the Music and Dance Faculty of the Academy of Performing Arts in Prague, much was said in lectures and discussions about the state of organ culture in the Czech Republic, about the protection of historical organs and about the Roman Catholic Church’s positions on the role of music in the liturgy and outside of it. The PROVARHANY society also participated in the organization of the meeting of fans and admirers of the royal instrument. Speakers included PhDr. Petr Koukal, head organologist at the National Heritage Institute, Father Stanislav Přibyl, secretary general of the Czech Bishops’ Conference, Štěpán Svoboda, organologist of the Prague Archdiocese, numerous professional organists and many others. The conference will take place in future years as well. One of the important facts presented at the Pipe Organ Conference was an overview of the number of pipe organs per capita in various European countries. The Czech Republic is statistically in first place. In Bohemia, Moravia and Silesia we truly have the most organs relative to inhabitants in Europe. The vast majority are Baroque or Romantic; we don’t even know the exact numbers. It is said that a total of approximately 7,000 instruments can be found in our, primarily Catholic, churches. However, no one is able to say how many of these are heritage protected. Until the year 2002 about 850 organs were considered protected. Then, however, this number was called into question based on varying interpretations as to whether or not organs are deemed protected if they are a fixed part of a protected structure. The confusion is only increased as various parties to disputes interpret the applicable extent of protection in an ever more arbitrary manner. In disputed cases is only the organ cabinet protected, or is the entire instrument protected? It is clear that organs are a very special in the context of heritage sites. 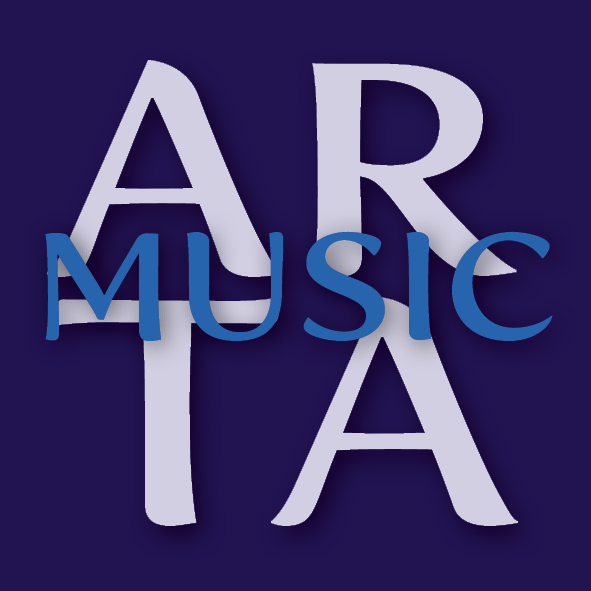 They represent the sum of artistic, technical, music historical and sound qualities. Almost no other heritage protected items, buildings or even urban developments are equal to them in this sense. People in many countries are well aware of this singularity, and thus organs sometimes carry such weight in the interpretation and realization of heritage protection that some sacred buildings owe their restoration to the fact that they contain one of these instruments, otherwise they would be doomed to demolition in some cases. Which is an approach that is diametrically opposed to our customs, where even normal organ repair often is not a priority at all. Often such repairs are carried out at the last possible moment, if at all. Fortunately, however, times are slowly changing. We can see this in numerous recent cases when organs have been restored or repaired. Other rare organs, however, are still waiting for their revival. Maybe they still play quite well, but their deterioration is already clear, and they are doomed if fate does not grant them greater interest from their surroundings along with the occurrence of some fortunate coincidences: for instance, if they are repaired by an organist who understands old organs and is able to help them according to what they need. In the selection of my recordings you will be able to hear the sounds both of organs which have been restored and repaired and those which have for now partially fallen into disrepair. Some of the pieces were already recorded in the past, and some were newly recorded for this occasion. The individual pieces of music represent a wide range of very diverse styles. We can hear all types of organs, with both masculine tones and feminine, delicate features, with registers suitable for the polyphonic interweaving of voices and resembling a symphonic orchestra, while the sound reverberates sometimes in acoustic spaces which are intimate and chamber-like and other times in those with a cathedralic depth. Right away in the introductory pieces we can hear rare organs waiting to be rescued. These have been preserved in the former Cistercian monastery at Zlatá Koruna. Fortunately their sound has not yet been affected by the ravages of time. They were built by Abraham Starck, a Baroque-era organist from Loket, who was also the builder of the organ in Plasy, which was in contrast recently restored. The organ in Doubravník is also among those newly rescued. In our country there are also instruments whose sounds have resisted somewhat amateurish, partial interventions, such as the organ in Rychnov nad Kněžnou. And in some cases, it is not even necessary to think about quick restoration, as they are regularly cared for or they underwent proper restoration not long ago. This applies to the large organ in the cathedral of Litoměřice, or the organ in the town of Ludgeřovice by Ostrava. Transfers of instruments to different locations, carried out over the centuries, are a chapter in their own right. This happened a few years ago to one of our oldest organs. It was originally in the village of Kruh, and after its restoration in the 1990s it was moved to Doksy. Since the local parish authorities, however, were not interested in its operation, the organ was transferred to the cathedral of Litoměřice, where it found a worthy location in a side choir loft. Most listeners often have a very fuzzy idea about the sound of an organ. Everyone knows that organs are played in church, during mass, at weddings and funerals. The repertoire for such occasions, however, is often highly limited, which is a pity both for the audience and for the organs themselves. The goal of this CDs dramaturgy is therefore to introduce the organ’s sound in its widest possible expressive range and connections. We start with pieces by earlier composers, continue with romantic pieces and end with contemporary works. In addition, we introduce a wide range of organs of different sizes, from one manual to four manuals. Their stylistic focus is also diverse. The period when an organ was built does not always correspond to the date when a piece was composed, but it is in harmony with the musical style of each specific piece. This applies, for example, to my compositions on the theme of Adam Václav Michna of Otradovice. 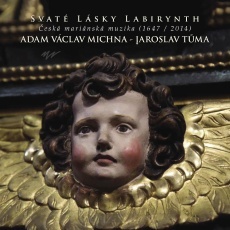 Lidská křaplavost aneb anjelská líbeznost (“Human Fragility and Angelic Suavity”) was composed in 2014, and is included in the Svaté lásky labirynth (“The Labyrinth of the Holy Love”) collection. The final composition on the CD is an improvisation on the theme of Bedřich Smetana’s symphonic poem Vyšehrad, which is part of the cycle of improvisations already released under the name Má vlast (“My Country”). In the context of the other works on the recording, the improvisation on Vyšehrad should serve as a symbolic reminder of the historically fruitful connection between religiosity and statehood in our Czech environment, and to emphasize that organs are available for all of us who are not indifferent to our roots and traditions. In general, in my opinion, it is still true today that music’s purpose is not only to make us feel good, but also to teach us to be sensitive, to feel emotions and possibly even to make us proud that we Czechs exist, to remind us that we have something to say and that we have a way to contribute to the good of humans and humanity.